With great pleasure, PalterLaw announces that experienced commercial litigator Nathanial Martinez has been named an equity member of the Firm. The firm was founded in 2013. Effective January 1, 2018, Mr. Martinez became an equity member of the limited liability company. Mr. Martinez received his law degree from J. Reuben Clark Law School at Brigham Young University in 2010. He received a Bachelor of Arts in Government from the University of Texas at Austin in 2006. 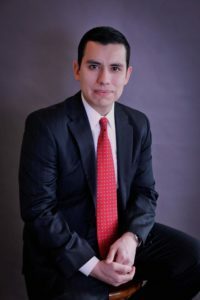 Mr. Martinez began his legal career at the high-stakes commercial litigation firm of Brewer Attorneys & Counselors, formerly Bickel & Brewer, before joining PalterLaw in 2012. As an associate, Mr. Martinez was lead attorney on several complex litigation matters and participated in many jury trials as second chair. Mr. Martinez’s litigation and arbitration practice focuses on a variety of complex commercial matters, including intellectual property disputes, trade secret misappropriation, breach of contract, and business torts. Mr. Martinez also cultivated a special expertise in employment law, representing several small businesses and medical professionals in a variety of employment-related disputes.